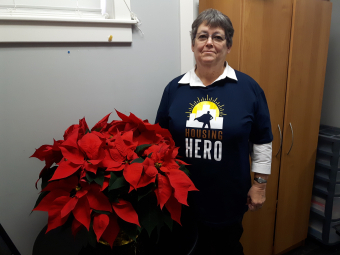 Dawn Gordon has been volunteering with Bethlehem Housing and Support Services for over 10 years. 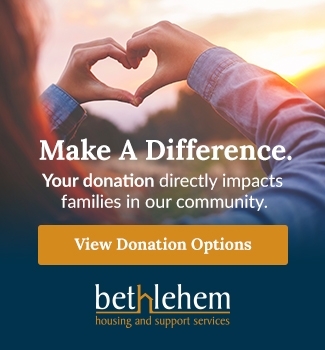 One of Bethlehem’s past chair’s and Dawn’s friend, Val Kerr, introduced her to the organization and got her involved with volunteering on our development committee in 2006. Dawn was a nurse for 35 years. For more than half of her nursing career she practised in the Neonatal Intensive Care and Neonatal Research Centre, which were her favourite departments at the Women's and Children Hospital in Buffalo. After retiring in 2004, Dawn has been keeping busy by travelling the world. Her favourite places she has visited are Scotland, Alaska and Hawaii. She recently did a solo trip to Europe in June of 2017 for 13 days, where she visited 8 different countries. She eventually wants to make it out to Australia, New Zealand and Tasmania. Thank you, Dawn, for being a part of the affordable housing solution by contributing your time and treasure to Bethlehem!